MMRDA announced the performance of Monorail stating that it operates 79 trips and on an average carrying more than 17,000 passengers daily. MUMBAI (Metro Rail News): Mumbai Monorail cancelled on an average around 40 per cent trips daily since its fully operational between Chembur and Mahalaxmi last month. This results in decreasing frequency directly increasing waiting time and travel time of Monorail commuters. The Mumbai Metropolitan Region Development Authority (MMRDA) making the whole corridor operational on March 4, 2019, said that they will operate 131 trips daily but it has been able to operate only 79 trips daily on an average. The reason behind lesser trips being operated daily is due to the availability of four trains out of the total of ten. In the past month, only two trains were functional as the remaining two are under routine maintenance. 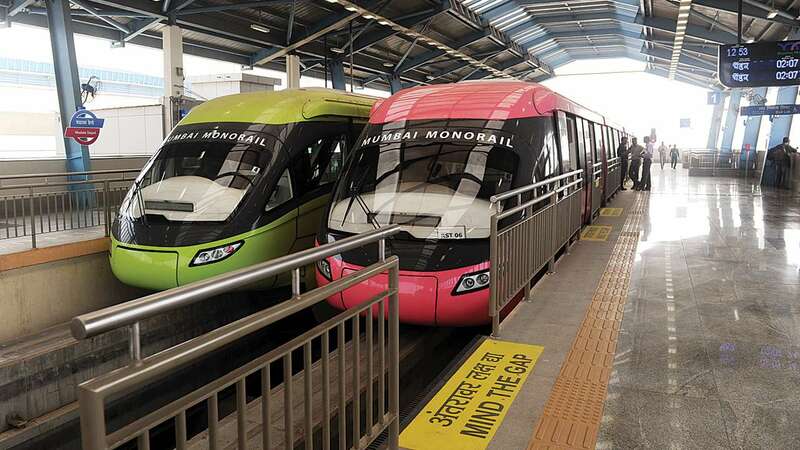 MMRDA is struggling to procure spare parts for Mumbai Monorail and had also informally approached Malaysian Scomi Engineering that was terminated from operating Monorail in December 2018. Scomi is also the manufacturer of the Monorail trains. MMRDA has been floated bids for appointing a new manufacturer who will supply 10 new Monorail trains. The Mumbai Monorail project for which construction started in 2008 by a consortium of Larsen & Toubro and Scomi Engineering, has been in news ever since its partial operations between Chembur and Wadala started in 2014. It got fully operational between Chembur and Mahalaxmi in March 2019.